Pinterest and I have a love/hate relationship. I loved all the amazing ideas that I found for my son's 5th birthday. I loathed all the work that I created for myself by wanting to make everything that I found. 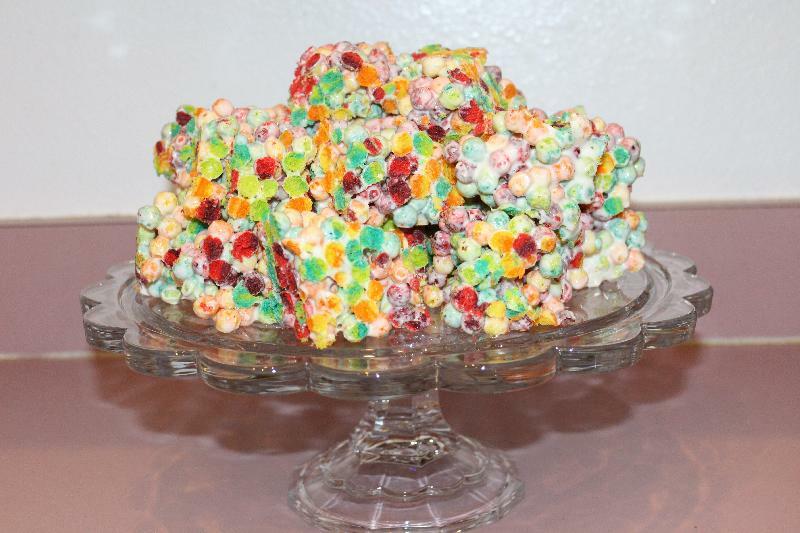 This recipe was easy to make just like Rice Krispy Treats! This recipe can be found here. There they used the microwave. If you are looking to use the microwave directions, click on the link. I used the stove and a large pot. Melt the butter and marshmallows over low heat. Remove from heat and stir in the Trix cereal. Press the mixture down with a spoon.